Seawater is discovered deep inside the Earth for the first time. This finding is a ground breaking discovery that sheds new light on the fate of the planet’s oceans. A detailed research on it is published in Nature. *	whether there is a ‘subduction barrier’ blocking its absorption. Hats off to the scientists at The University of Manchester for identifying the seawater in volcanic gas samples, which originates from the Earth’s mantle. 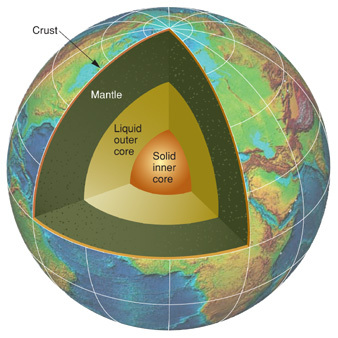 Mantle is the region that lies just below the crust and extends all the way down to the core. The finding supports the theory that seawater is subducted deep into the Earth.